During the winter months it's not always easy finding fresh ingredients for fruit pies. But I'm of the opinion that fresh isn't aways best; both frozen and dried fruits work just as well in pie recipes. 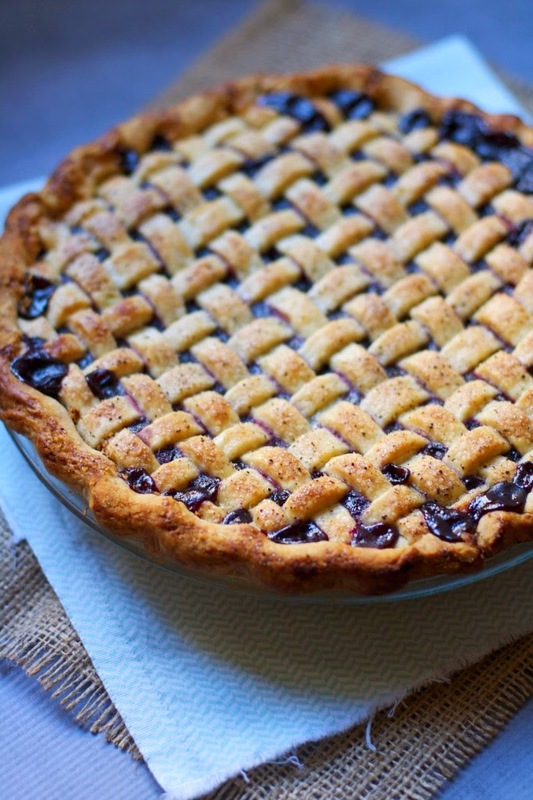 Take for instance this pie recipe I found via the baker chick for cranberry blueberry pie. It calls for wild blueberries and cranberries, either of which can be frozen or fresh. The pie looks scrumptious. Can't wait to try it. In a medium sized saucepan, combine all the filling ingredients except for the cinnamon sticks. Stir mixture well until berries are evenly coated. Add the cinnamon sticks and cook over medium heat for 12-14 minutes, stirring occasionally. The berries will burst, and the mixture will reduce and thicken. When the filling is ready to go, roll out one layer of the crust to a 12-inch circle and drape it over 9-inch pie pan, trimming the excess dough so there is a 1-inch overhang all around. Pour the filling into the crust. Roll the top layer of dough out into another 12-inch circle, and either drape the whole thing over for a traditional double crust, or cut the dough into strips for a lattice-top. Trim and fold over the edges, crimping as desired. In a small bowl mix together the sugar, nutmeg and vanilla bean (if using.) Brush the heavy cream over the crust and sprinkle with the sugar mixture. Bake at 400º F for 50-60 minutes or until crust is golden and filling is bubbly. If the crust is getting too dark too fast, cover it with a bit of foil.